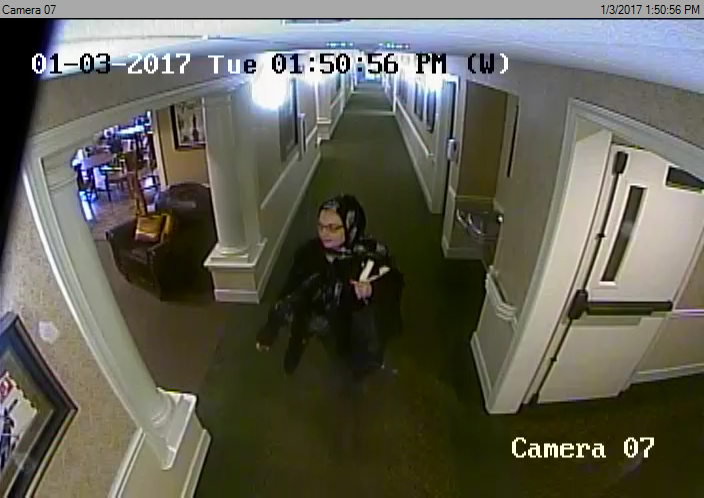 The search is on for a brazen burglar stealing from occupied resident rooms at two Franklin senior care facilities. On January 2, the crook in this video disguised herself while knocking on several resident doors. If an elderly resident answered, the thief pretended to be an employee and talked her way into the room. In fact, she spent more than 40 minutes doing so at one of the facilities. One of the victims actually woke up to the suspect standing next to her bed. Cash, credit cards, and prescription drugs were stolen from four different victims. One of the credit cards was used a short time later to buy a flat screen television at the Nolensville Road Walmart, in Nashville. Anonymous information in this case is worth up to $1,000 in cash.